Edible oils are made from nuts (such as walnut), seeds (such as sesame and cotton), vegetables (such as corn), legumes (such as soy), and fruits (such as olive). But in actual fact, they all fall into just three categories: neutral, all-purpose, and highly flavorful. Neutral oils add little or no flavor when used in salad dressings or cooking. But they are inexpensive (you can buy a gallon on sale for as little as a few dollars) and they are useful. The best of these are canola and grapeseed, both of which are extremely low in saturated fats, have high burning points, and do not detract from the flavor of the foods with which they are combined. They are usually recommended them for salads — all they add is a vague oiliness — but they’re great for deep-frying and acceptable for sauteing. Other neutral oils include corn, sesame, sunflower, soy, cottonseed, and so on. It’s worth noting that most neutral oils, especially those sold in bulk, are extracted by chemical processes and therefore are somewhat less desirable than “cold-pressed” oils. You can buy cold-pressed neutral oils, but at that point you are spending as much money as you would on olive oil — which is really the only all-purpose oil. There are three kinds of olive oils, and only two worth considering buying. The best is extra-virgin oil; technically it’s defined by the amount of acid it contains (which is low) and, in the Mediterranean (at least theoretically) can only be so labeled after being judged to have no negative qualities. In reality, you can think of extra-virgin oil as the first, cold pressing of olives. There are no chemicals used in this process and the result, more often than not, is oil of distinctively fine character. It can be very expensive (twenty-dollar liter bottles are not uncommon) but it can also be reasonably priced at about twenty dollars a gallon. Many people do not consider extra-virgin oil all-purpose because it is expensive and highly flavorful — too flavorful, some believe, for cooking. If you can’t afford extra-virgin oil for cooking, you should certainly turn to other oils. But if you can, try it; usually, its flavor is welcome. In any case, it is the one olive oil you must have in your pantry for salad-making. “Pure” olive oils may be extra-virgin oils that don’t quite make the grade or, more often, oils extracted (either mechanically or chemically) from the pulp left after making extra-virgin oils. It is not nearly as flavorful as extra-virgin oil, but it is very useful stuff. (The so-called “light” olive oil made by some large producers, essentially a neutral oil, is a pure olive oil.) Most pure oils have decent flavor, good enough to use in a salad, and excellent for sauteing and even deep frying. You should expect to spend about twelve dollars a gallon for pure olive oil. Forget about olive oil labeled “pomace,” which is made by extracting oil (usually chemically) from the pits and leftover pulp after the first two pressings. It is not inexpensive enough to bother with, and never has good flavor. If you cannot find or afford good olive oil, stick with neutral oil. For the most part, these are nut oils, but there are exceptions; most notably the dark sesame oil, which has delicious flavor. Other highly flavorful oils are made from hazelnuts and walnuts, both of which are wonderful and should (almost) never be used for cooking, but for salad dressings and drizzling over cooked foods. There is one flavorful oil which borders on all-purpose, and that is peanut; its flavor, though distinctive, is not overpowering, and it is a great oil for cooking (especially highly spiced foods, and Asian dishes in which olive oil is out of place) as well as for the occasional salad dressing. Oil, like all fat, can go bad. 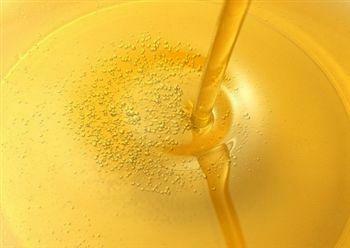 Stored in a cool, dark place (or in an opaque container), most oil will keep well for about a year. If you plan to keep it longer than that, or you live in a warm climate, it’s best to use the refrigerator. And always use the refrigerator for nut oils, which become rancid more quickly than other oils.